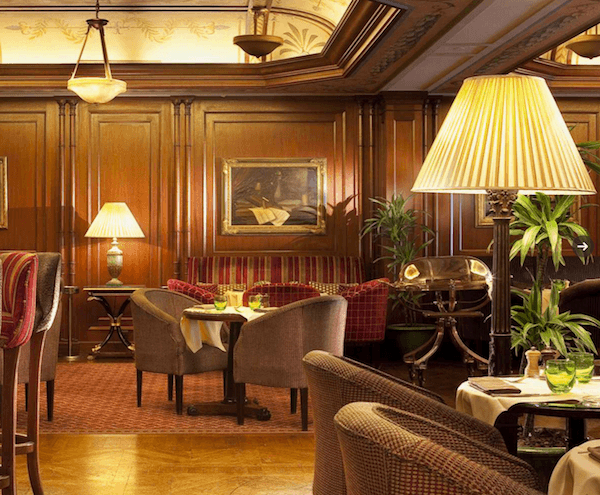 5 Star Luxury At the Hotel Napoleon Paris - Ambassadors of World Food Tourism. Paris. The City of Light. City of Lovers. There are so many ways to describe this beautifully unique and memorable destination that has come to one of our favorites. 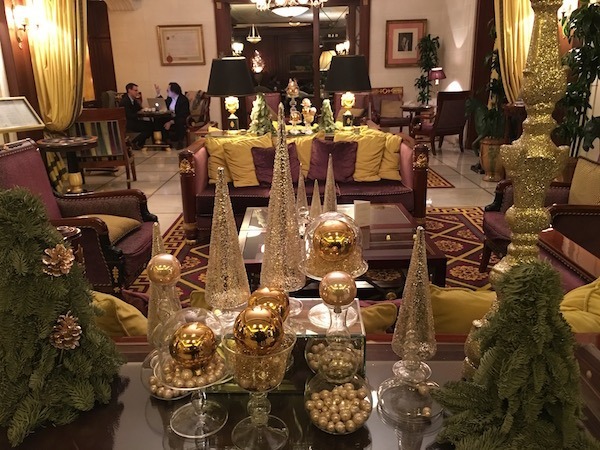 We had the chance to stay at the 5-Star luxury Hotel Napoleon Paris on our last visit. From the moment the doorman greeted us we knew we were in a special place. We were guests of the Hotel Napoleon during our stay. We were not financially compensated and the opinions expressed are based on our own experience. The stunning lobby is sumptuously decorated and invitingly comfortable. While waiting to meet a friend to arrive, we secretly hoped she would be a little late so we could relax just a few minutes longer among the pillows and cozy furniture. Upon entering our Avenue Junior Suite, which faced the Avenue de Friedland, we let out an audible ohhh as we quickly gazed around the room at the elegant furnishings. As the bellman explained all the amenities, we were immediately drawn to the French doors that led out to a spacious terrace. The bonus prize was a spectacular view of the Paris skyline featuring the Eiffel Tower and Arc de Triomphe. I have to admit that a tear immediately came to my eye. I’ve had a long love affair with Paris ever since I was a kid. The very first real “report” I wrote was on France. I don’t why I picked it. 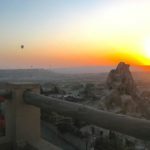 I just knew, even back then as a young child, that I had to learn more about this magical faraway place. 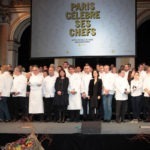 When we were invited by the Paris Tourism Board to visit Paris to see Mayor Anne Hidalgo honor all the Michelin Starred Chefs it took about 3 seconds to respond, “Oui, oui!” If you read my love letter to Paris after the attacks in November you know that lately Paris has been on my mind even more often. Perhaps the romance of the hotel begins with its history. As the story is told, a rich Russian businessman, Alexander Pavlovich Kliaguine, met a young Parisian girl in the 1920s and fell madly in love. His wedding gift to her was a hotel in Paris’ storied 8th arrondissement so that she might have a beautiful place to entertain all of high society. The Kliaguine family still owns the magnificent property. The hotel has 51 rooms and 51 suites each equally luxurious and beautifully decorated in classic French style. The Hotel Napoleon is well-known for its large art collection. The rooms and hallways are tastefully decorated and adorned with beautiful artworks. 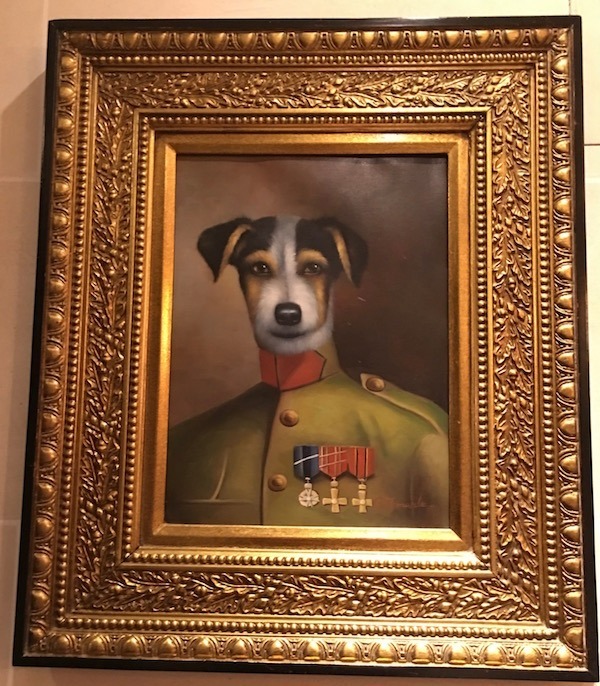 As animal lovers, we especially admired the whimsical yet regal dog collection right outside Le Bivouac, the Hotel Napoleon’s restaurant and lounge. And speaking of food…the breakfast was second to none. 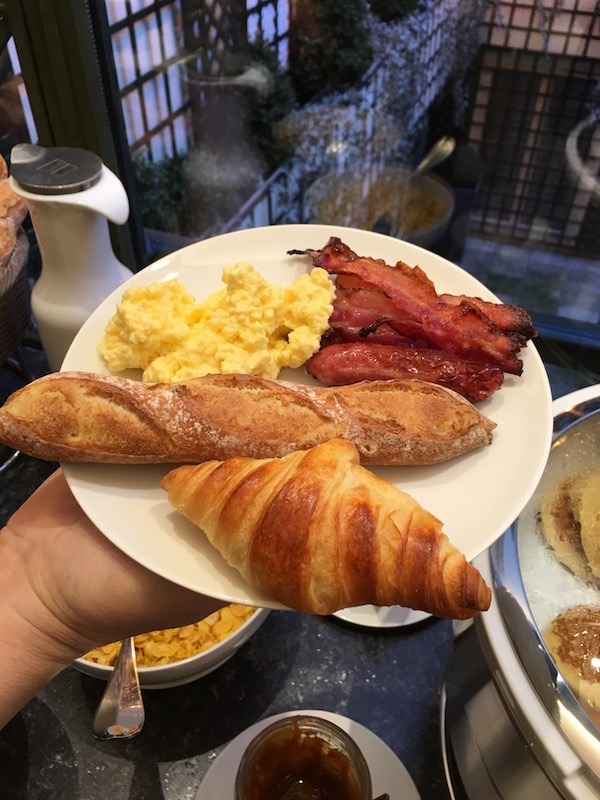 It was all I could do not to over indulge in the freshly made baguettes, croissants and preserves. They had a full complement of warm & cold breakfast foods, and an omelette could be whipped up just for the asking. After a long day of walking and tasting our way through the city a night cap at the lobby bar Le Bivouac was just what we needed. Armagnac and Fernet-Branca digestifs helped us unwind and forget our jet lag. The last treat of the night was soaking in the huge whirlpool tub. The tub was long enough for this tall girl to stretch out her legs and have some room left over! Heaven. The fragrant L’Occitane toiletries made the experience even better. 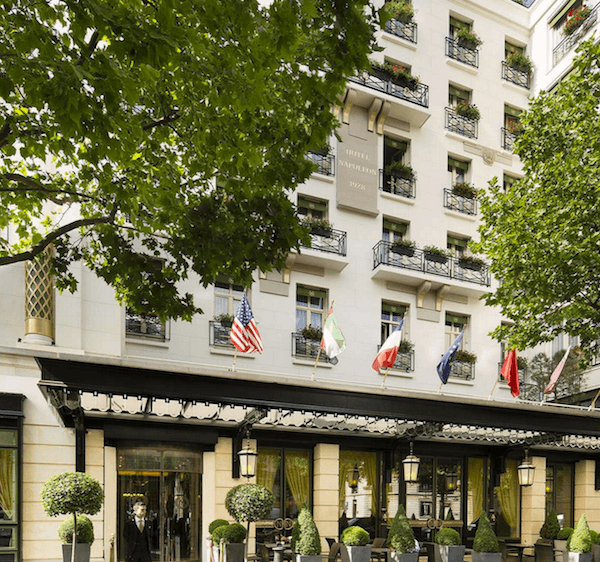 A stay at the 5-Star luxury Hotel Napoleon Paris is truly a dream come true. Located just steps from the Champs-Élysées and two minute walk to the Arc di Triomphe you can’t get a better location. 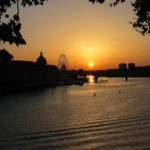 Several Metro stops are also within steps and many shops and delicious restaurants beckon you nearby. 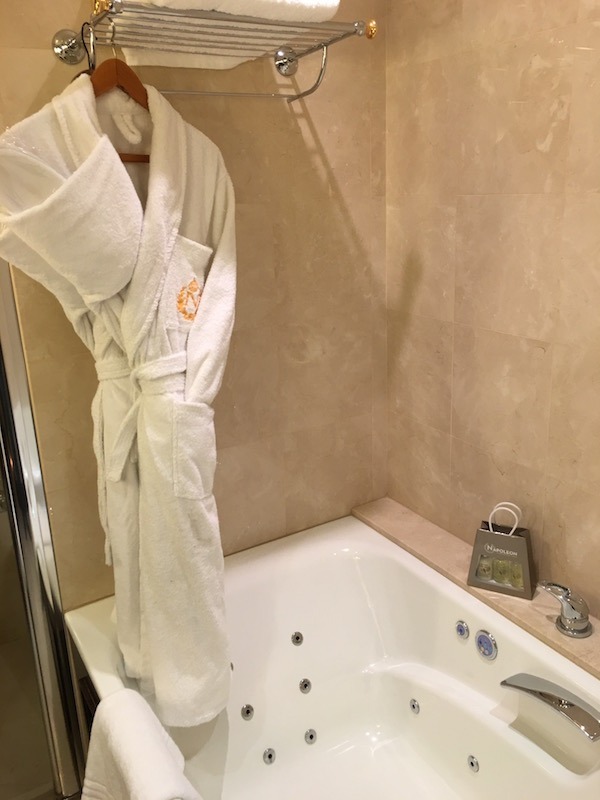 Your stay includes free Wifi, iPod dock, access to the fitness club, tea and coffee machines in the suites and some of the most gracious and attentive service you will find anywhere. 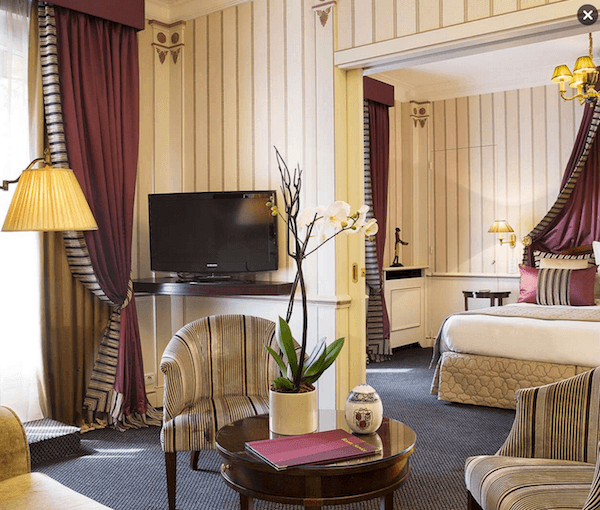 THE QUICK BITE: For a regal and romantic stay in Paris relax at the 5 -Star luxurious Hotel Napoleon Paris. Its ideal location, beautiful accommodations, exceptional service and tasty restaurant and bar make it simply a perfect place to stay. The tub, the food, and the views are my favorites. I much prefer luxury travel, so this is one that I can add to the list when in Paris again. Beautiful hotel, simply beautiful. I’m so hungry after seeing the breakfast. What can I say except that the Hotel Napoleon looks wonderful and I can picture myself in that Avenue Junior Suite with the amazing view. And I like the romantic history. Wow! 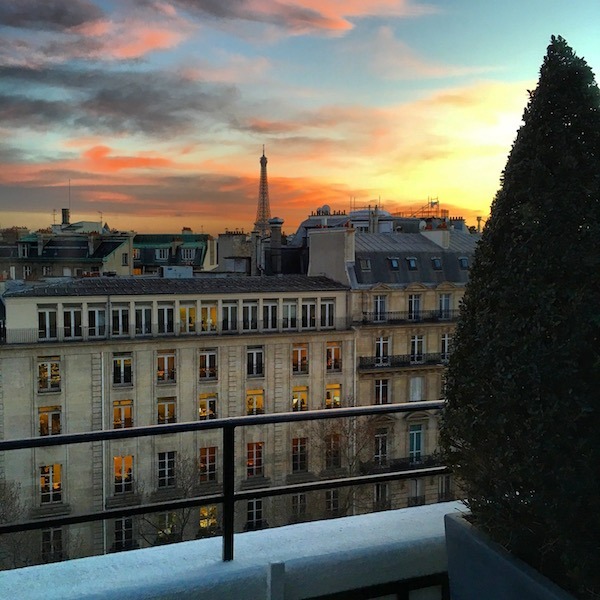 Seriously, what could be finer than staying in five star luxury right by the Arc de Triomphe? I love Paris! I love 5-star hotels!! This one looks simply elegant! It is Irene. You must visit on your next trip to Paris. Thanks for stopping by. It’s absolutely lovely Jo. Thanks for stopping by. OMG, that is really living Paris, I want to go visit now – what a stunning property and I loved that doggie painting! It is simply beautiful Noel. Those dog paintings really struck us too. Glad yo enjoyed them. I wouldn’t be able to stay away. 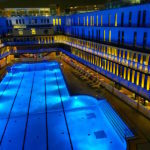 You must return you will love Paris and the Hotel Napoleon. Lovely, lovely, lovely….including the picture of the dog (which I loved). I don’t think you could top the gorgeous surroundings of your suite. And the views! What a beautiful way to indulge in Paris. P.S. 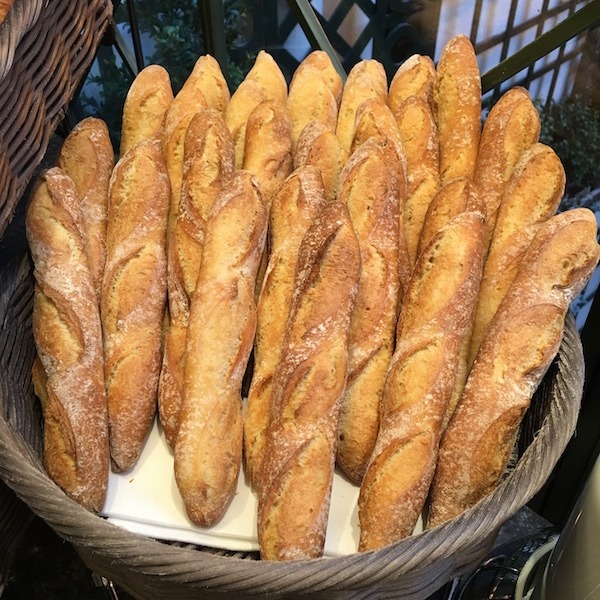 Your picture of the baguettes was great! Thanks Jan! 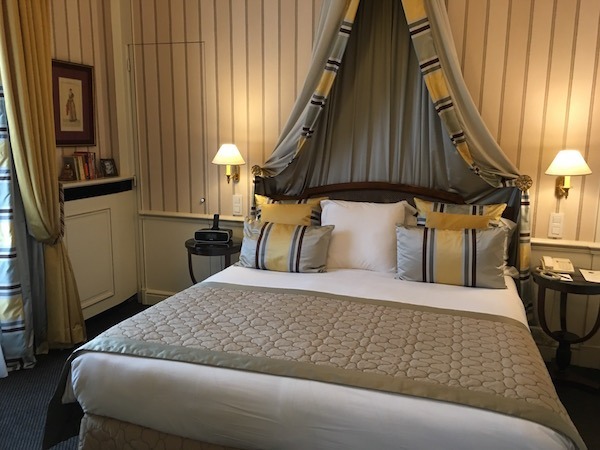 Being the biggest Francophile I know – you’d love the beautiful French style rooms at the Hotel Napoleon.